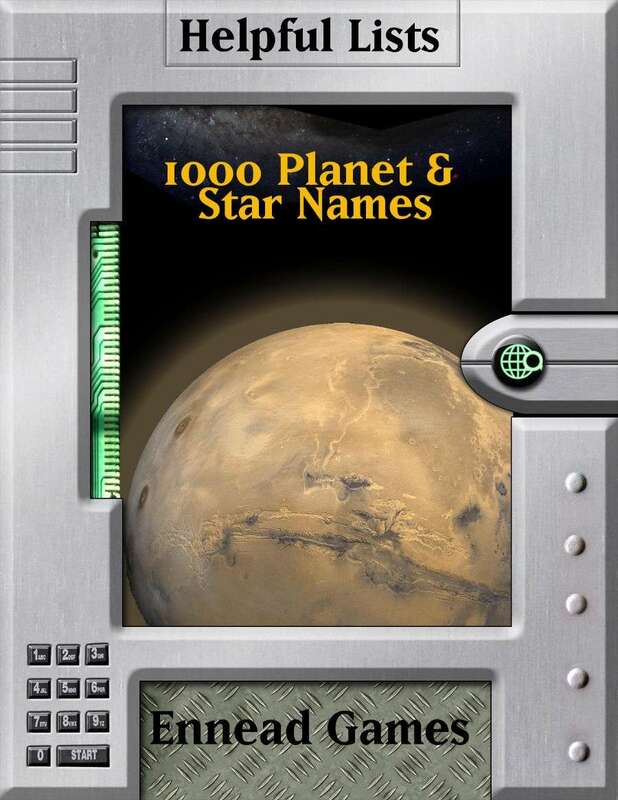 Presented here are 1000 names suitable for a planet or star, covering each letter from A to Z, some letters having more options than others. To use a d1000 chart, get 3 d10s, ideally of different colours (or roll the same one 3 times). Nominate one for the 000’s, one for the 00s and the last for the 0’s. Of course there is nothing stopping you from making up your own, or simply picking one you like.